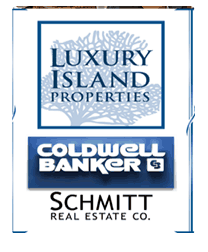 Welcome to my site which features Upper Keys Affordable to Luxury Homes plus Condos for sale in Islamorada, Key Largo, Plantation Key, and Matecumbe Key. If you are considering buying a 2nd Vacation Home for retirement or just a move to a less stressful Lifestyle, There is no better place then the Upper Florida Keys which includes the areas of Key Largo and Islamorada. 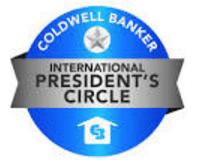 I am Coldwell Banker's Top Producer in sales of both Affordable as well as Luxury Real Estate in the Upper Fl Keys. If you need more information about the process of Buying Real Estate for sale in the upper Keys, you've come to the right web site. "PERMIT" me to help you with all the Details such as Mortgages, Closing Costs, Title Companies, and Negotiations! When you discover you have fallen in love with the area, and just can't bear the thought of going back to the rigors of life on the mainland, Jan Keller and Charlotte Porter can help you find your new Islamorada waterfront home, by taking you on tours aboard one of Capt. Scott's fine boats. Catch a bonefish in your backyard, or hop aboard your very own " sports fish" and head out to the Atlantic in search of billfish. Whatever your preference, you can't beat the joys of home ownership in Paradise. You may also decide you're not quite ready for retirement and you want to buy a business. No problem. Jan can help you find either an established business or a location to get you started in a new one. Not ready to make the commitment to purchasing? Let us find just the right rental property for you. Whatever your needs, relocation is just a phone call away, and we are the people to contact. Lower Matecumbe 114 Sunset Dr. Luxury Lower Matecumbe 91 Iroquois Dr.